The following table shows the most used baud rates. 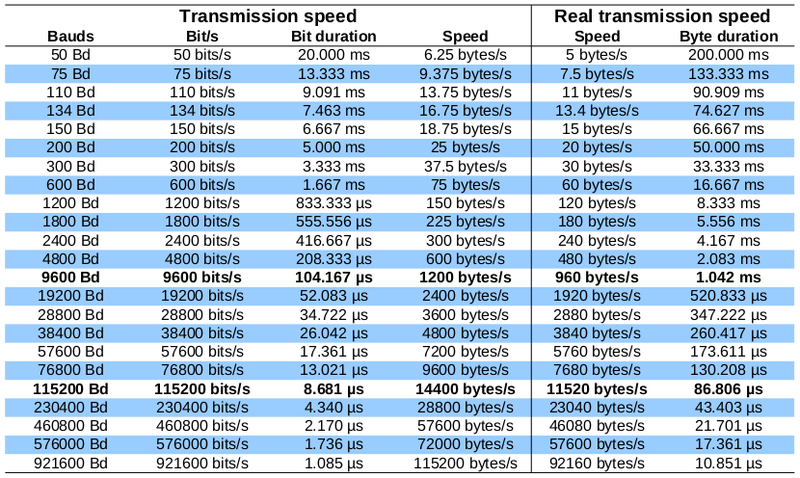 The left side part of the table shows speed and bit duration. The right part shows real transmission speed assuming there is no parity, 8 data bits and one stop bit.